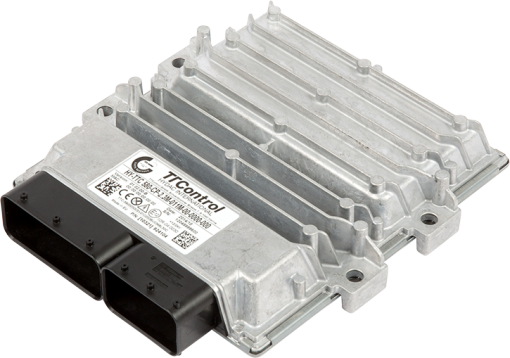 HYDAC offers a wide range of off-the-shelf products from TTControl, ranging from powerful CODESYS high-end controllers to cost-effective, mid-size ECUs. In addition, the portfolio also includes controllers for safety-critical applications, certified according to DIRECTIVE 2006/42/EC. What’s more, the products fulfil Safety Integrity / Performance Levels up to SIL 2 and PL d. Our ECUs answer to the demanding work environment of off-highway vehicles. Furthermore, to ensure a maximum level of reliability, we test all devices under extremely harsh conditions. Therefore, we use only the certified and tested components. Moreover, the electronic circuits beneficiate of a good protection thanks to a compact, automotive-style aluminium pressure die-cast housing. The interconnection of several ECUs is possible via CAN bus to form a network. The programming of the units is either in C or in CODESYS®. Electronic control units come in two different types – safety certified and general purpose. These safety certified units have been developed to accommodate the future requirements of high-end applications, particularly for agricultural and construction machinery. Each product within the family meets safety requirements up to SIL 2 (IEC 61508) / PL d (ISO 13849) and can be programmed either in C or in CODESYS® Safety SIL 2. They are capable of connecting up to seven CAN interfaces (three for the 510, four for the 540 and seven for the 580). This product is the premium level electronic control unit of the HY-TTC 50 product family. It has been developed to conform to the ISO/EN 13849 standard and provides a superior level of flexibility and safety. HY-TTC boasts four CAN channels, enabling it to accommodate the ever-increasing need for data transmission throughout a vehicle network – especially important in large or complex machines where multiple CAN busses are typically utilised for different systems. Both products of the HY-TTC 30 family, the 30S and 32S each contain the same processor and number of I/Os as their general purpose equivalents. Each comes with a built in primary CPU and Watchdog; the latter bringing the electronic control unit to a safe state by disrupting the main CPU and shutting down the safety switches through a dedicated output. Both ECUs in the HY-TTC 30 family have been designed to comply with the ISO 13849 international standard. With its 12V power supply and Infineon XC2288H CPU, the HY-TTC 77 is the perfect general purpose ECU for the off-highway industry. Perfect for smaller machines like small wheel loaders, small rollers and small excavators, the HY-TTC 71 comes with a 12V power supply and offers the ideal control solution. 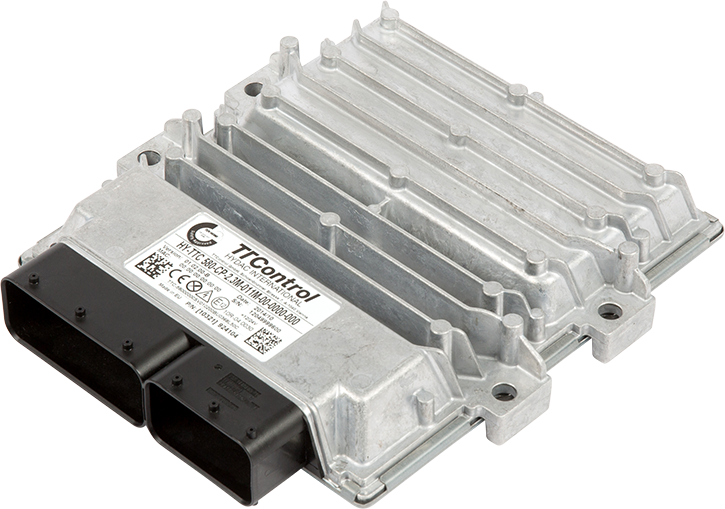 This modular general purpose ECU is actually a member of the HY-TTC 50 stable of controllers and boasts an unsurpassed level of flexibility. It’s also highly durable, capable of withstanding variables such as humidity, changes in temperature and vibrations. Economical yet powerful, the HY-TTC 50 is well designed to perform in the rough conditions for which it was intended. All units in the HY-TTC 50 family can be programmed in either C or in CODESYS. When you need a particularly compact, cost-effective control system that’s most suited to smaller sized machines, the general purpose ECUs of the HY-TTC 30 Family will more than capably handle the task. The HY-TTC 30 series of electronic control units offers flexibility, usability, programming and safety features that are second to none. Click here for product information about our C and CODESYS programmed options.